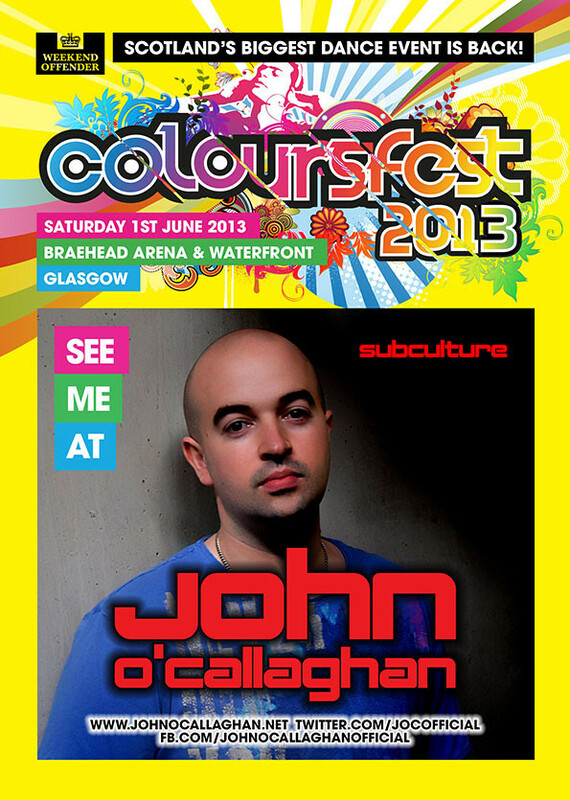 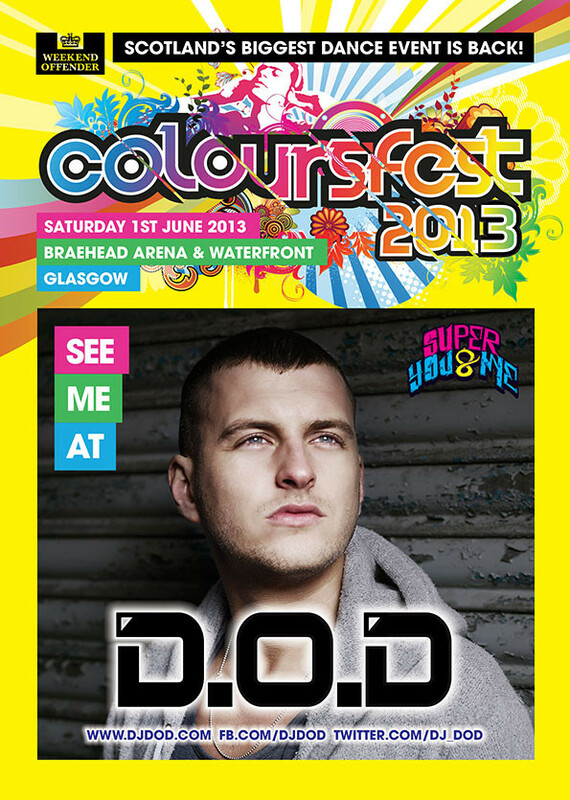 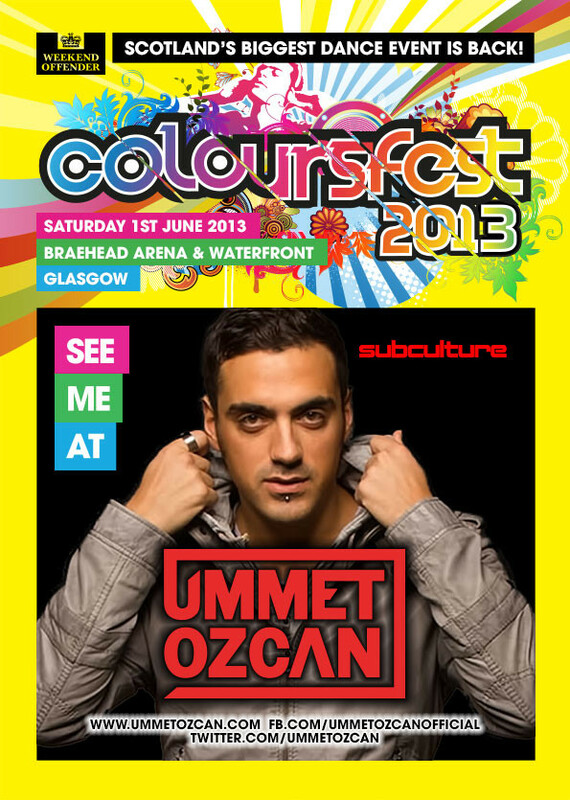 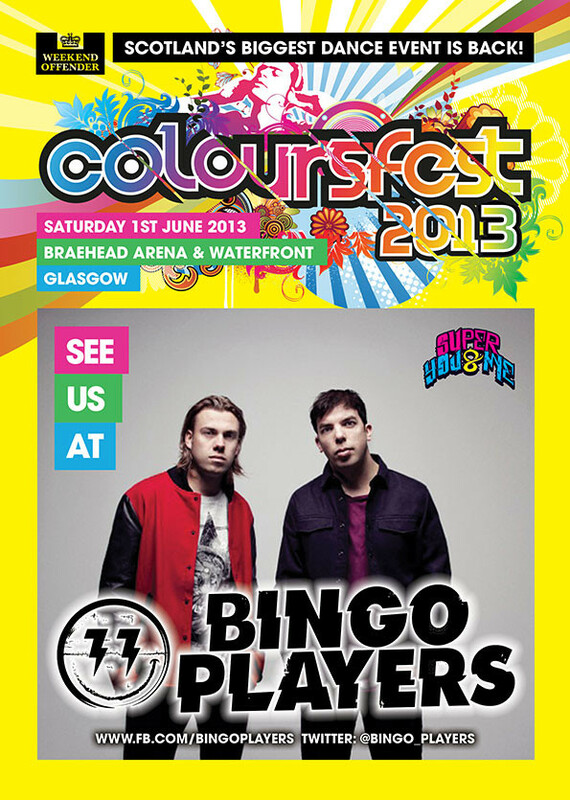 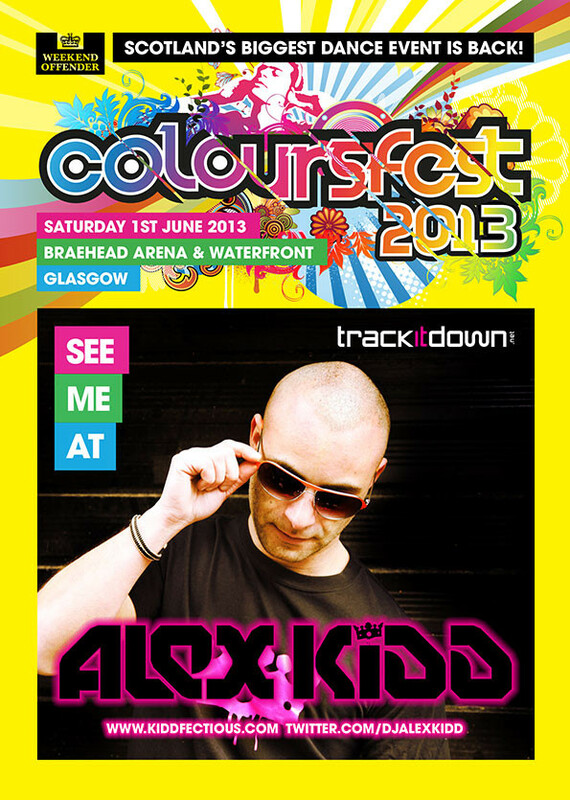 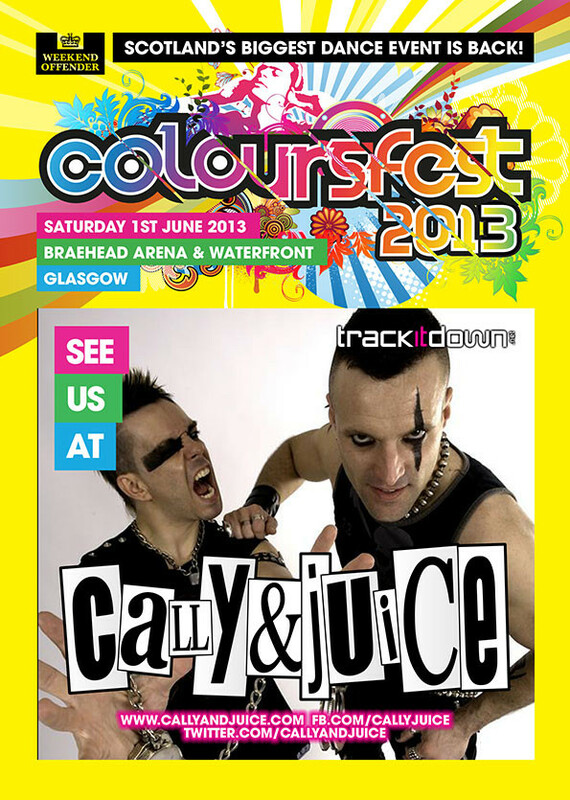 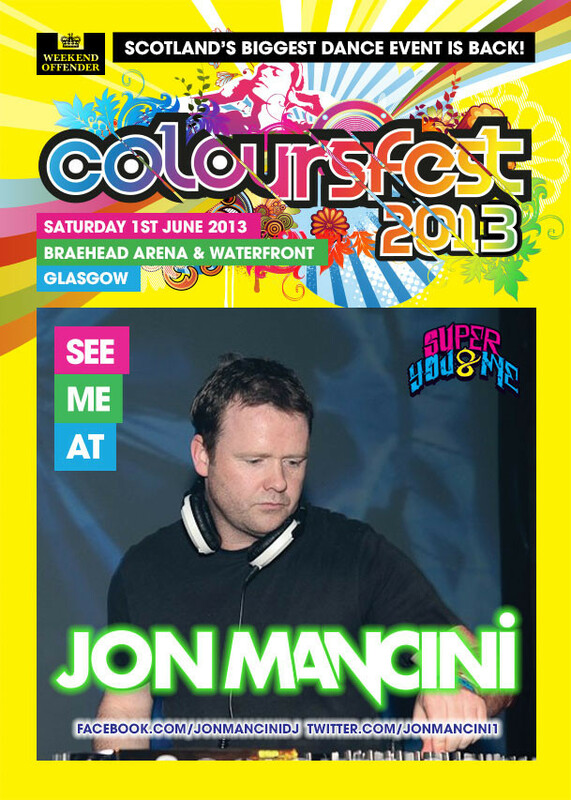 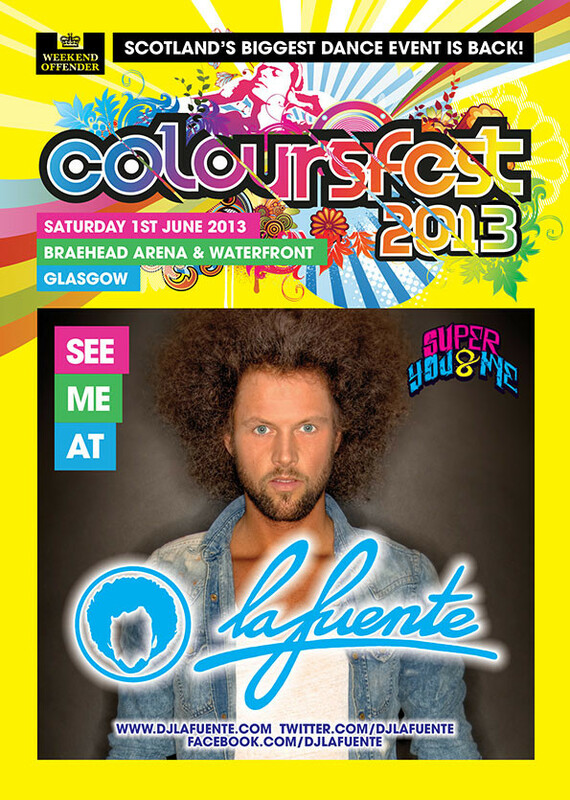 With just over three weeks to go, Coloursfest, Scotland’s longest running dance event, returns to the Braehead Arena & Waterfront, Glasgow on Saturday June 1. 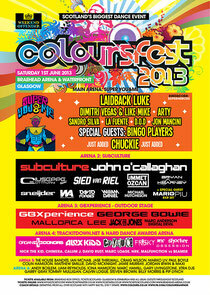 The event brings together thousands of clubbers and some of clubland’s hottest brands, with a few big name DJs thrown in too! 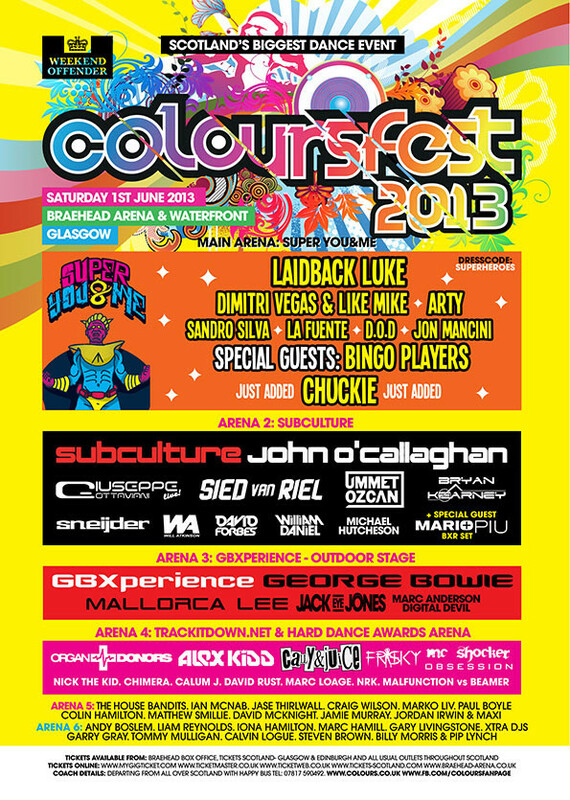 This year the event hands each arena over to some key clubbing brands, allowing each area to have a clear focus and musical segregation. 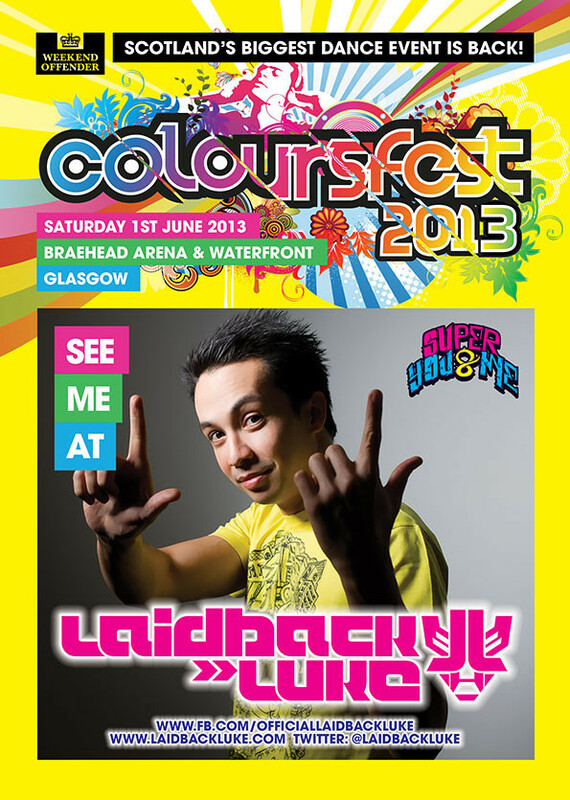 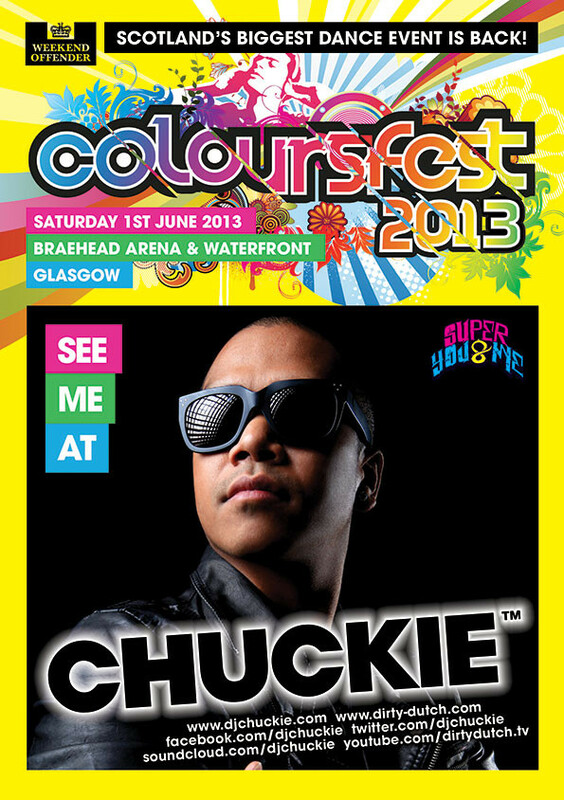 Laidback Luke brings his Super You&Me brand to Coloursfest 2013 to host the Main Arena and John O’Callaghan brings Subculture to cater for the trance crowd. 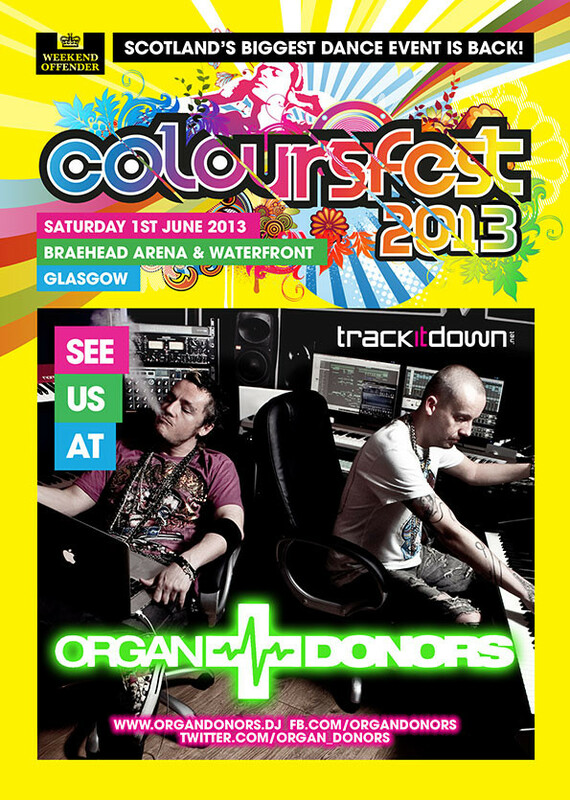 Arena 4 will be hosted by Trackitdown.net and the Hard Dance Awards, Arena 5 is the Nu-Generation area, where some of the best up and coming Scottish DJs go head to head and Arena 6 is for the Local Heroes, with some of the best established DJs in Scotland. 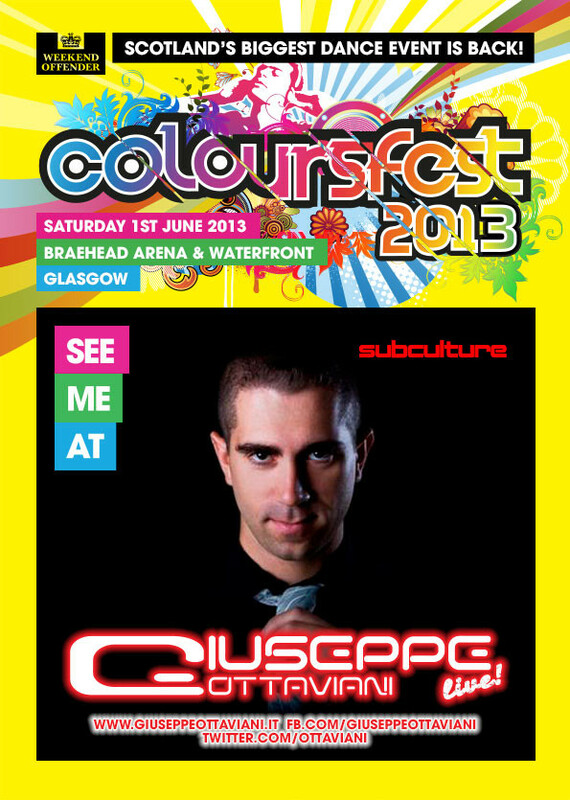 The Outdoor Stage will once again be hosted by Radio Clyde 1 FM’s GBXperience, with resident Clyde DJ George Bowie in control. 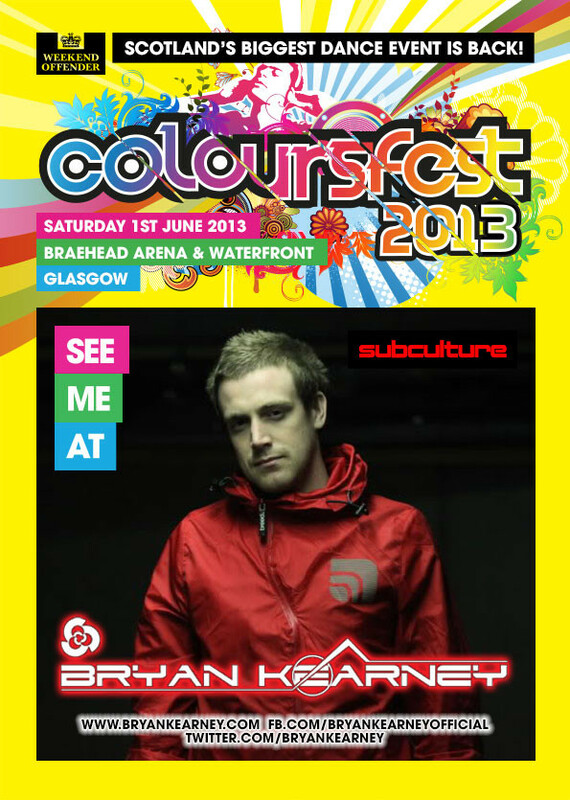 With only a few weeks left to the event, check the link for ticket info, best be quick though, the last few years have sold out!